Leslie Evans & Judith Mackinnon – Is there a Conspiracy to Destroy the SNP Government by Innuendo? or Are They Just Incompetent? Born in Northern Ireland in 1958. Relocated to Sheffield. Attended High Storrs Comprehensive School 1970-76. Gained a degree in Music from Liverpool University. Married Derek McVay 1990. One son. Absorbed lots of knowledge. Music important – soft spot David Bowie, likes reggae and dub, Bach + Bartok. Rereads Jane Austen, theatre lover, views Shakespeare regularly. Learnt to like poetry – Sylvia Plath, Jackie Kay, John Donne. “I know I have the body of a weak, feeble woman; but I have the heart and stomach of a king”. Not just knowledge absorbed – learnt to ask not just what or why? But – really? Experience shaped her politics and values, and views about diversity, equality and inclusion. Cultivated skills and capacities and the propensity to be curious, the ability to analyze – the desire to inform opinion and the appetite to question everything. Gained 8 “O” levels in one year. Lost focus in the years following. More interested in partying than studying. Poor “A” level results. Hard to take. Failure brought home the importance of hard work. Despite poor results secured a place studying music at Liverpool University. Not talented or dedicated enough to be professional performer. Used musical skills to earn cash – in orchestra pit and teaching piano. Used music degree as means to end, getting onto a post graduate course in London to get into arts administration. Course included an employment secondment – worked really hard – made herself indispensable – gave up wild life and became totally dependable. Offered employment in arts with local authority in London. Then similar work in Sheffield. Moved to Edinburgh 1985 – employed with Edinburgh District Council in senior management roles, (1985 and 1987 and from 1989 to 2000). Ensuring effective delivery of arts, theatre, entertainment and recreation. Similar work with Stirling Council (1988). On each transfer of employment moved up the management ladder – role and responsibilities became broader and more diverse. Learnt to seize every opportunity offered – to show enthusiasm – to speak first – to answer yes – to think about whether and how to do it later. Learned to feign confidence – faking it until able to make it. If someone in a position of authority is determined to smear you, it is very difficult to recover. Mud sticks. Now, it is simply not the done thing for a Councillor to ever criticize an officer at a public meeting. Politicians may only address their concerns to the Head of Department who is paid shed-loads to take the flack. Those below departmental head know they can get away with not owning up to manipulations and misrepresentations, because that is what Department heads are for. Back then, officers didn’t even have their name anywhere in the papers. However, on this rare occasion, Councillor Steve Cardownie stepped over that thin red line and fingered one such officer. “Is it possible”, he thundered, that a very senior officer (there could only be one!) had tampered with the report, thereby undermining its validity and “independence”? You could hear a pin drop. All eyes turned on Leslie Evans, who became bright, bright red with fury and froze, stock still. You could almost see the steam coming out of her ears. Her Video Strategy died before it had lived. It is said Leslie Evans caused Edinburgh Council to lose millions in the Usher Hall Lottery debacle of ’98, which led to the resignation of Roger Jones, the best and most popular Head of Department the Council ever had. When Roger was forced to resign over the loss, Leslie had the temerity to give him a leaving card comparing him to Churchill – he was a hero, she said. If she truly felt that way, maybe she could have ‘fessed up and taken the rap, resigning in his place? Not our Leslie. This is a must read since it provides confirmation of views held by an increasing number of Scots that Leslie Evans is not an appropriate person to hold the position of Permanent Secretary to Scotland’s First minister. Leslie Evans reported to Francesca Osowska OBE in David Mundell’s office. Osowska was formerly Principal Private Secretary (PPS) to the First Minister (Alex Salmond) between 2007/09. She also confirmed that Mundell retained funding sufficient to employ up to 100 whole time equivalent (W.T.E.) posts and that salary and incidental costs arising from such employment are (top sliced) from Scotland’s block grant before the allocation of finance to the Scottish government. Reflect also on the disgraceful actions of the UK Cabinet Office and Treasury Civil servants which contain the proud admission that they had been seconded to the Scottish Office (in Westminster) and were tasked, for an extended period of time to provide active support to the “Better Together” campaign. Actions that brought about the defeat of Scots who wished only to be an independent nation once again. What a bunch of charlatans. Joined CS in 2000 soon after devolution – new Scottish Executive. Early 40s represented a major career change – big risk. But had gained experience in public service with local government – government service a cakewalk? – not so – miserable at work – didn’t seem to add value or make any difference. First year fish out of water. Held nerve – stayed resilient. The retirement of the permanent Secretary to the Scottish Government, Sir Peter Housden (1) created a vacancy within the Civil Service. The competition to succeed him was overseen by the First Civil Service Commissioner and open to candidates across the UK civil service, including in Whitehall. Ms Sturgeon was presented with a shortlist of vetted candidates and selected Ms Evans. Evans was appointed as Permanent Secretary to the Scottish Government on July 1, 2015. In this role, she is the principal policy adviser to the First Minister and Secretary to the Scottish Cabinet. Evans is the senior Civil Servant in Scotland and leads more than 5,000 civil servants working for the Scottish Government, supporting development, implementation and communication of government policies, in accordance with the Civil Service Code. 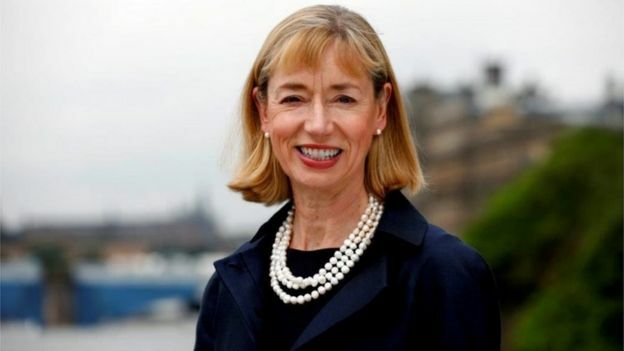 She joined the Scottish Government in September 2000, having spent 20 years working for local authorities in Scotland (City of Edinburgh Council and Stirling Council) and England (London Borough of Greenwich and Sheffield City Council). Her previous post within the Scottish Government was Director General Learning and Justice. Other positions held include, Head of Local Government Constitution & Governance Division, Head of Public Service Reform Group, Head of Tourism, Culture and Sport, and Director of Culture, External Affairs and Tourism. (1): Insiders briefed that Sir Jeremy Heywood remained livid over the behavior of Housden during the 2014 Scottish Independence Referendum. When he was accused of betraying the Westminster Civil Service brief by “going native”. He was also criticized by Commons select committee for allowing the publication of swathes of Alex Salmond’s White Paper on independence that were politically “partisan” and failed to meet “factual standards”. And a Westminster public administration committee said he should not have allowed taxpayers’ money to be used to publish sections that amounted to an SNP “agenda”. The recruitment and appointment process of the new Permanent Secretary was tasked to the offices of the “First Civil Service Commissioner”, based in Whitehall so that the Westminster government would assured the appointment of their preferred candidate. So as to be satisfied there would be no repeat of the conduct of Sir Peter Housden one of the new Permanent Secretary’s key tasks would be to rebuild trust with Holyrood’s opposition parties and Whitehall mandarins. 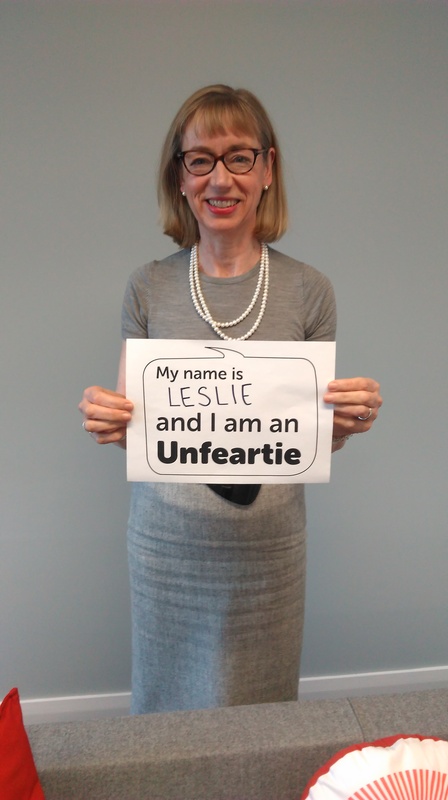 Leslie Evans is the Westminster Government’s “safe pair of hands” at Holyrood. Over time she will add other Senior managers of the same ilk to her team, effectively emasculating the Scottish Government at Holyrood. What they do is exclude him from their inner counsels – as we can see in the strange case of Sir Peter Housden. Housden, 61, is permanent secretary – top civil servant – to the Scottish government and his political boss is First Minister Alex Salmond. Officially, he is no different to the other permanent secretaries and regularly attends their Wednesday morning meetings in Whitehall. Unofficially, though, they regard him – there’s no nice way to put this – as “Salmond’s nark”. The head of Scotland’s Civil Service faced fresh accusations of being politically partisan last night after he told thousands of his officials that he expected Alex Salmond to emerge victorious in the independence referendum. 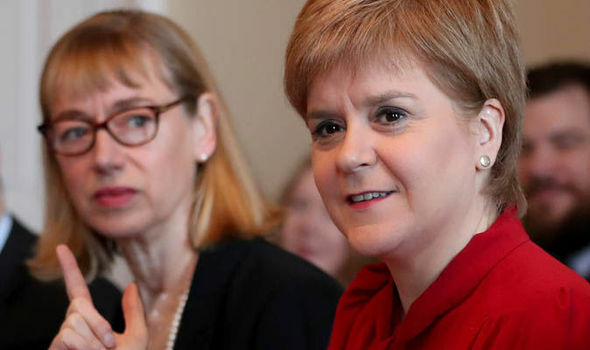 Sir Peter Housden circulated a briefing, in which he informed civil servants that he expected “substantial negotiations” with UK ministers after the ballot — all but dismissing the prospect of an SNP defeat. Sir Peter, the Scottish Executive’s permanent secretary and Alex Salmond’s most senior mandarin, predicted that the referendum process would have several stages and told his civil servants that they “don’t need to swallow this elephant whole” as it would “stretch now over a good number of years”. He then considered what would happen after the referendum and predicted: “The other side of a referendum is likely to involve substantial negotiations.” He continued that it “will certainly require a major constitutional bill in the Westminster parliament to reflect a positive result”. He did not spell out why he believed the SNP would win in the face of opinion polls that show only about a third of Scots would vote for separation. Opposition leaders last night renewed their accusations that Sir Peter, who remains part of the British civil service, had “gone native”. The code governing officials prevents them expressing political views or advice. Scotland’s most senior mandarin should have blocked the publication of swathes of Alex Salmond’s White Paper on independence that were politically “partisan” and failed to meet “factual standards”, according to a damning report. The Commons Public Administration select committee said Sir Peter Housden, the Scottish Government’s permanent secretary, should not have allowed taxpayers’ money to be used to publish parts of the blueprint that amounted to an SNP “agenda”. At “the very least”, the committee found that Sir Peter should have sought a “letter of direction” from Mr Salmond, a document requested by civil servants when they disagree with a minister’s decision so strongly that they refuse to be accountable for it. In 2016 Nicola Sturgeon announced that “open government” would be a feature of the Holyrood parliament and new policies were to be put in place. Leslie Evans had no personnel management qualifications and needed to strengthen her team. In 2017 she recruited Judith Mackinnon, an experienced human resources manager, to a newly created, (very well remunerated) “Head of People Advice” position. This is the same person that was previously Head of Human Resource Governance at Police Scotland. Hardly a recommendation for employment in the Scottish Government given the many scandals in the force in the years she was in post. Leslie Evans approached Nicola Sturgeon with proposals to draft new procedures in line with the Scottish Governments transparency in government drive. Authority gained, Judith Mackinnon compiled the policy document, which was duly signed off by Nicola Sturgeon in December 2017. One one month later, in January 2018, two complaints were made of sexual harassment against Alex Salmond under the new rules. The incidents were alleged to have taken place at Bute House in 2013. It was almost as though there had been “malice aforethought” and complainants had been waiting for the new rules to come into force. There certainly seems to have been no attempt to make the accusation until the policy was active, protecting the accusers from exposure. No matter the outcome of any subsequent investigation, the political damage to the SNP government would be considerable at a time when a new Scottish Independence Referendum was being mooted. Alex Salmond was not made aware of the complaints despite the procedure requiring him to be informed, but Evans briefed Nicola Sturgeon and made a Police report. The police investigation is on-going but there is justifiable concern that the appointment of an investigating police officer to lead the investigation might have been arranged!!!! determining the outcome. Supported by £100K “crown funding”, Alex instructed legal action against the Scottish Civil Service for the breach of procedure which gave the impression it had been deliberately enacted to damage Alex and the SNP. At court the Scottish Government accepted that there had been significant procedural errors in the handling of the complaints. The Judge rebuked the Government and instructed that the matter should be closed. Costs of the proceedings (possibly around £500K) were charged to the government. A weird sequence of events. Complaints against Alex Salmond made by two female staff about alleged incidents they said occurred in 2013 (four years after the event) and only one month after the new procedures had been put in place. 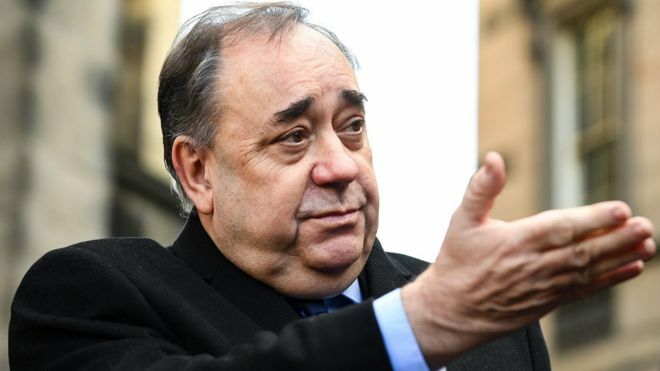 The government follow up investigation revealed that the recently appointed personnel professional, Judith Mackinnon (who had no direct management authority over them), had solicited the complaints against Alex Salmond, from the two female officers. She then spoke to them, at length on a number of occasions, in a manner “bordering on encouragement to proceed with formal complaints” against Alex Salmond. The Government legal team further accepted there had been a “significant amount of inappropriate direct personal contact” between Mackinnon and the complainants. Evans stated that the nature of the complaints had been brought to her attention by Mackinnon and she appointed Mackinnon to formally investigate the matter and take the appropriate action as required by the new procedure. But in doing so Evans compromised the procedures she and Mackinnon had only recently put in place. Plonkers comes to mind. Author caltonjockPosted on January 14, 2019 January 26, 2019 Categories Uncategorized17 Comments on Leslie Evans & Judith Mackinnon – Is there a Conspiracy to Destroy the SNP Government by Innuendo? or Are They Just Incompetent?